We’re writing to share an important update regarding our work with the New York City Economic Development Corporation (EDC). 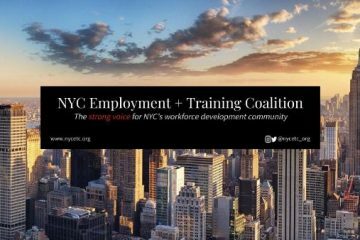 On Monday, EDC released a Request for Expressions of Interest (RFEI) “seeking responses to this RFEI from interested and qualified organizations to research and propose effective and innovative ways to advance workforce development in NYC, especially to ensure that underrepresented populations benefit from career opportunities in the tech sector, such as Amazon’s new NYC headquarters in Long Island City, Queens and Google’s planned expansion of its existing NYC workforce”. 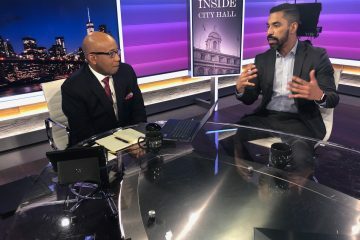 This is a major breakthrough for our advocacy aimed at ensuring that EDC under the de Blasio administration consider New Yorkers who face barriers to employment or lack foundational skills, and congratulate EDC for taking necessary steps to build investments in inclusive talent development into their practices. 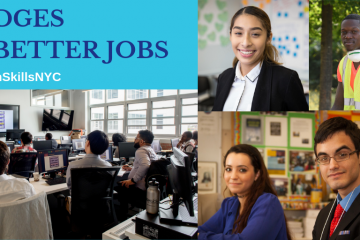 Since the Mayor unveiled his 2017 promise to create “100,000 good new jobs” for New Yorkers, our concern has been “Jobs for Who?” We have consistently communicated that any economic development initiatives and subsequent plan must intentionally consider the inclusion of current New Yorkers through access to job training programs that receive adequate funding to deliver talent. Since then, and in addition to our regular meetings with EDC, this priority has been injected into the public discussion and media coverage of economic development on many occasions – including the rollout of EDC’s initial “New York Works” plan; the announcement of Aetna’s planned subsidized move to Chelsea; the Mayor’s pitch for re-nomination amidst a strong economy; the feature New York Times examination of the de Blasio Admin’s 100,000 jobs promise; and, finally, the announcement of Amazon’s new location in Long Island City. In the RFEI released Monday, EDC requested organizations that “provide youth development, workforce development, and/or skills training services, particularly to underrepresented New Yorkers; provide Adult Basic Education, High School Equivalency preparation, and English language classes for adults and older youth; and engage in broader policy development and research on talent and workforce development strategies” respond to the RFEI by sharing “effective and innovative ways that the City, State and Amazon could advance workforce development in NYC, especially to ensure that underrepresented populations benefit from this opportunity.” This RFEI is a departure from the norm of simply investing in already well-prepared workers. Rather, it shows a willingness to tap into the expertise of the workforce development field and invest in bridge programs that provide training to marginalized New Yorkers that will enable them to access opportunities created by public economic development subsidies. EDC proves to be listening and this represents a profound embrace of the advocacy message NYCETC and our allies have been promoting for the last two years. There is still much to be determined about the fate of this RFEI. How are traditional job training programs considered in the selection process? Will enough resources be invested in funding quality proposals? Will there be a clear pipeline from the bridge programs created to the openings at Amazon, Google and the like, or to advanced training programs that lead to jobs at these companies? There is, without any doubt, much more to be done. Our pitch to EDC to begin funding bridge programs was only part of a larger call for the de Blasio Administration to fully fund the promise of $60 million in bridge programs across multiple agencies. Already, we can see signs that the previous budget figure of just $8 million will be significantly surpassed in the FY2020 budget. However, we must ask by how much and will it meet the need? Many questions do not yet have an answer, and their resolution will depend in part on how well we finish making our case, and whether the Administration continues to listen with open minds. For now, NYCETC and the community ought to celebrate this acknowledgement of need and willingness to invest in inclusive solutions.